"What does it look like on the ATM?" There are many different digital signage solutions available on the market today, from low quality/low price to great quality/ridiculous price. Commonly-accepted knowledge in the digital signage world suggests that in order to get great quality, you have to pay a ridiculous price. That’s until Zem Media came along and decided to challenge that commonly-accepted knowledge and created the Easy To Use, Affordably Efficient, Zem Media Content Management System. Zem Media Does it Again! ATM owners who were looking for a digital topper solution were faced with similar barriers. Technology was relatively expensive, so the owner basically had two choices: go cheap and look cheap, or do not use a digital topper at all. Neither of those choices was optimal. It was believed that in order to get great quality ATM Digital Toppers you have to pay a ridiculous price and when you do get that great quality digital topper, you need an IT expert to make it work. That was the case until Zem Media decided to do something about it. Zem Media, a sister company to Independent ATM Deployer, ATM Merchant Systems, brought together their knowledge of the ATM market with their knowledge of the Digital Signage market to create the optimum solution for ATMs. 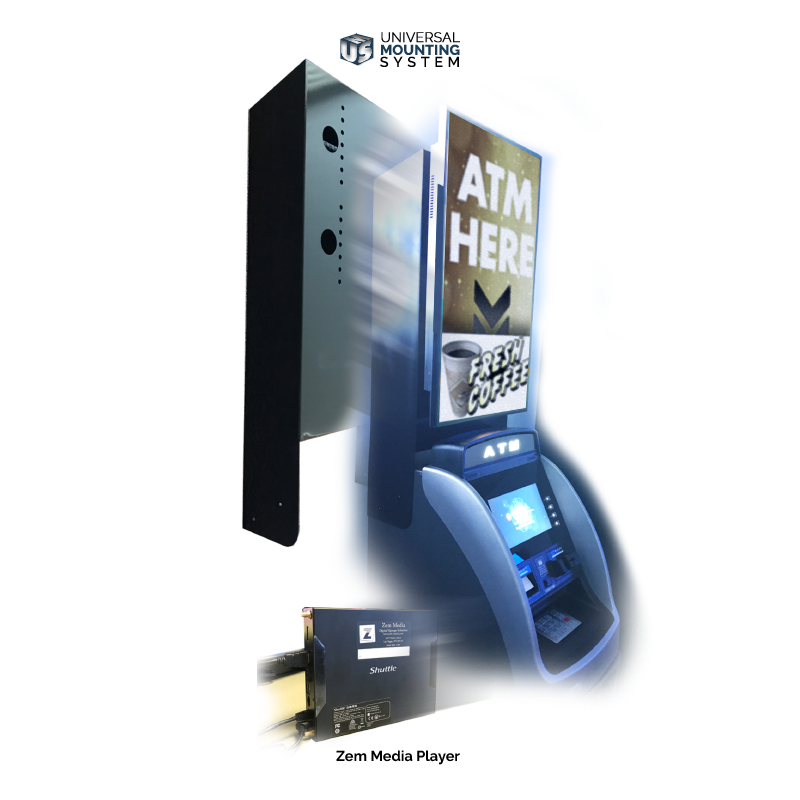 And, with Zem Media’s Universal Mounting System® it doesn’t matter what ATM make or model you own or are considering to buy, Zem Media has Digital Topper solutions for all manufacturers’ ATMs. No Matter what Model ATM, the Universal Mounting System Works!